Florida commercial auto insurance policies. 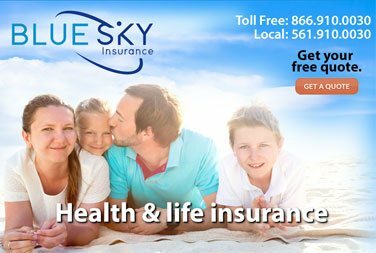 Florida commercial auto insurance from Boca Raton Based Blue Sky Insurance®. with the lowest rates from several trusted carriers. 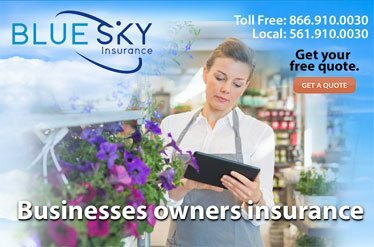 From local pizza delivery to large commercial fleets, Blue Sky Insurance® offers commercial auto insurance packages to fit your business. 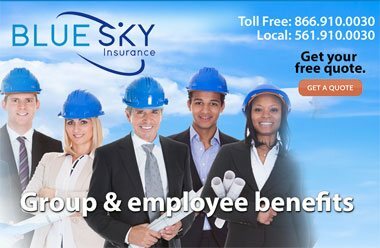 Business insurance needs are as diverse as the business owners themselves. Your policy should be tailored to how you're using your cars and trucks for your business. We can find the right coverage for your needs whether it be insuring the contents of your vehicles from theft, towing, labor to rentals and loss of use. 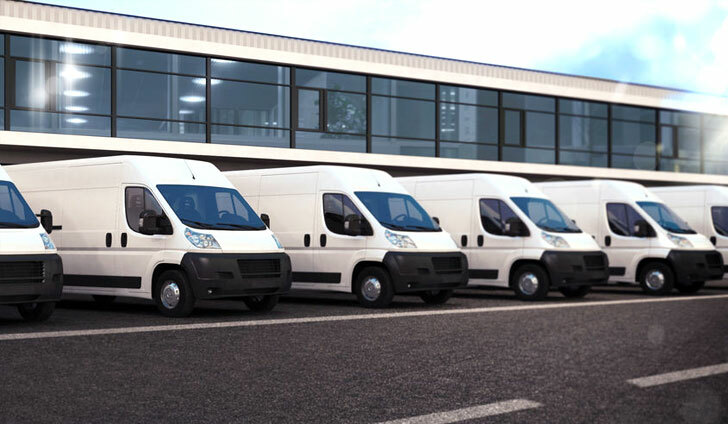 For commercial auto insurance in Boca Raton, coverage can protect a combination of vehicle types (trucks, cars) and drivers, as well as some types of motorized equipment. It provides for bodily injury liability and property damage while operating a company automobile, and medical payments or Personal Injury Protection (PIP) for the driver and passengers of the policyholder's car. Hired/Non-owned Auto Liability - Are you renting cars or are your employees using their own vehicles? This particular coverage provides business insurance coverage for certain liabilities arising from the use of a rented or leased vehicle (hired), or a non-owned vehicle (employee using their own vehicle on company business). Oftentimes this coverage can be added inexpensively to a business auto policy, or in some cases, a general liability policy. Use of Personal Vehicles - Insurance policies for privately owned vehicles may not cover damage to your privately-owned car or truck when it is used for business, even when it's a business such as selling cosmetics, jewelry, or pizza delivery. 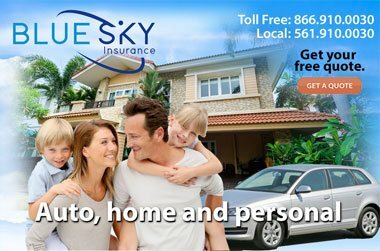 Every business is unique – talk to a Blue Sky commercial auto insurance agent in Boca Raton, Florida today to find out how to get the best business auto insurance in Boca Raton, service, price and value. Ask about quotes for your personal vehicle too. We have access to several carriers to shop the best Florida auto insurance rates for you.